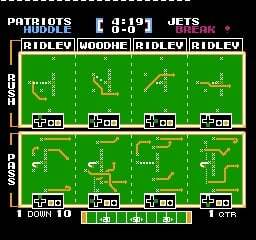 If you want to play an NFL game with current players, you don't need to buy Madden NFL 13. 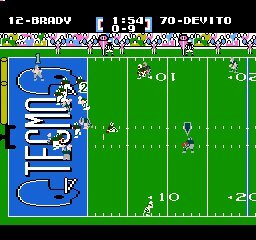 A group of fans have released an updated version of Tecmo Super Bowl with the latest rosters from all 32 teams. 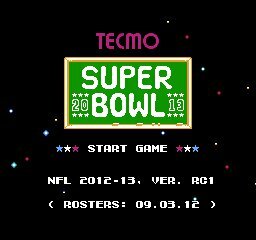 Tecmo Super Bowl 2013 also comes with a number of modern features not present in the original edition. 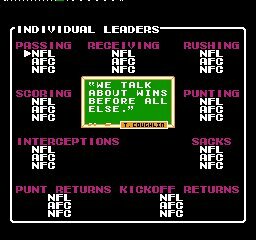 Quarter length can now be adjusted, playbooks can be edited on the fly, and your stats will be displayed at half-time. The passing system has been improved as well to provide players with additional accuracy and control. 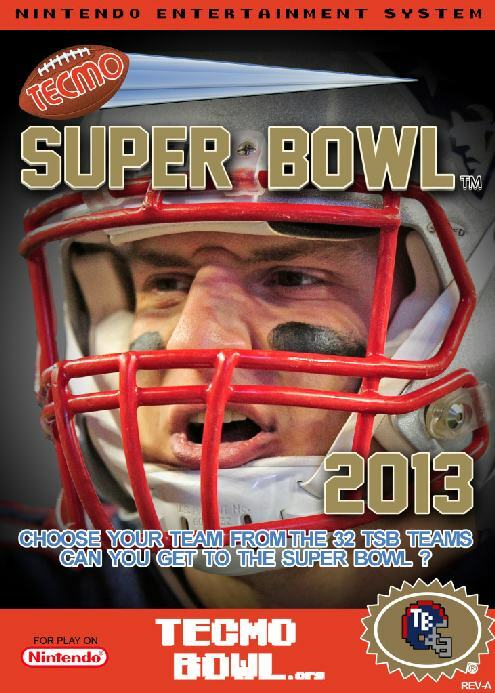 New England Patriots tight end Rob Gronkowski is this year's cover athlete. He's coming off a Pro Bowl season where he tied the record for most touchdown receptions by a tight end. More importantly, Gronkowski looks a lot like the dude on the original TSB cover. 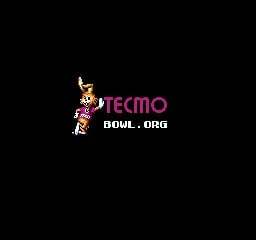 Tecmo is not affiliated with the project at all. 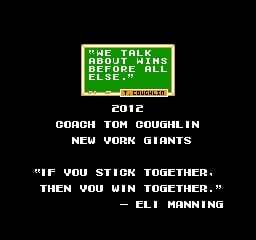 TSB 2013 is a "ROM," so you'll need an NES emulator program. Nestopia, one such emulator, is available through TSB 2013's website along with the ROM itself. It's all free to download, albeit not completely legal.